President Donald Trump’s longtime political ally Roger Stone invoked his Fifth Amendment protection as he declined to share documents and testimony with members of the Senate Judiciary Committee, according to a letter posted Tuesday by the committee’s top Democrat, Sen. Dianne Feinstein. “Mr. 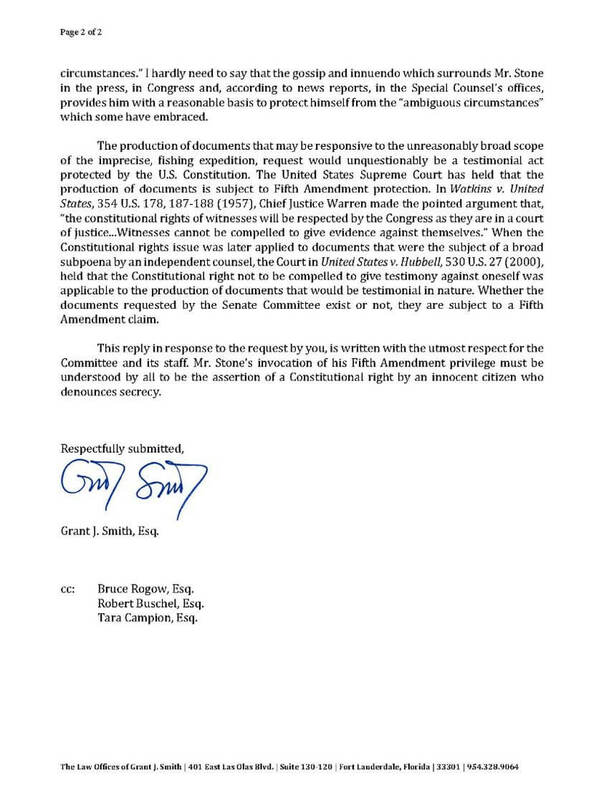 Stone’s invocation of his Fifth Amendment privilege must be understood by all to be the assertion of a Constitutional right by an innocent citizen who denounces secrecy,” Stone’s attorney, Grant Smith, said in the letter, dated Dec. 3. Stone is under scrutiny in special counsel Robert Mueller’s ongoing probe of Russian interference in the 2016 election, in part over allegations that he had foreknowledge of WikiLeaks’ October dump of Clinton campaign emails. 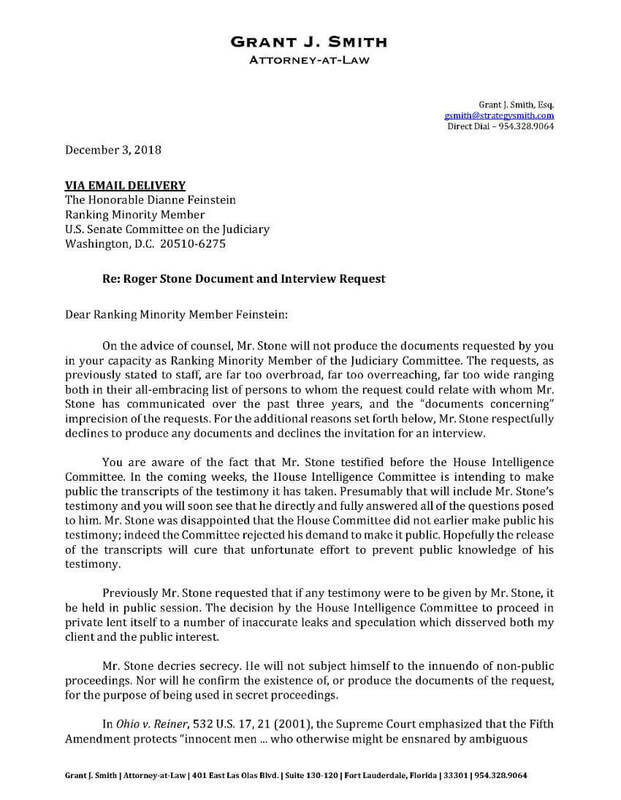 Stone has denied any advanced knowledge, despite a series of tweets foreshadowing the contents of the emails, which he attributed to educated guesses and indirect information provided through an intermediary with WikiLeaks. Stone told POLITICO on Monday that he doesn’t have a pact with Trump’s legal team to share defense strategies, unlike former campaign chairman Paul Manafort, who is in jail after being convicted of tax and bank fraud. But Stone has largely aligned his public messaging on Mueller with the president’s, frequently bashing the special counsel’s tactics.